Underground Kindness is a non-profit organization, introducing young people to the practice and philosophies of self awareness, self expression and intentional living. 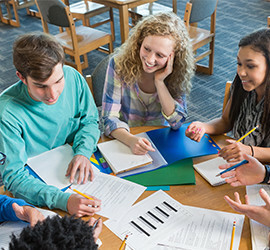 UK focuses on empowering students, supporting teachers, and connecting community within public schools. The ripple effect is a central theme of the Underground Kindness program. Through involvement in the group, students gain a deeper understanding of themselves, as well as how their actions affect others. In turn, they become actively engaged in creating positive experiences for themselves and others, choosing to offer unsolicited kindness and to “pay forward” the kindnesses they have received. 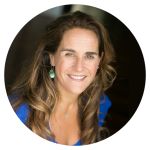 Bring Compassionists to your school and speak with Lindy, our Founder, today about spreading the ripple outwards. The Koru, which is often used in the Maori Tribe as a symbol of creation, is based on the shape of an unfurling fern frond. Native in New Zealand, its circular shape conveys the idea of perpetual movement, new beginnings, new growth, and its inward coil suggests a return to the point of origin – the self. Ancient spirals are also known to represent the winding journey inward we must take if we’re to truly know and love ourselves, and from that journey, we return with more power and wisdom. The UK Compassionist was a wonderful presenter. Our adult clients felt she had a relatable story and realistic approach to gratitude. They learned deep breathing, self-acceptance, to let go of things and don’t push back to diffuse conflict. She taught about using a gratitude journal and keeping an attitude of gratitude. The example of how choosing gratitude over judgment can calm a stressful situation was especially powerful. At our check in at the next group meeting, everyone had tried her method for a gratitude journal and felt it was helpful. The word altruism means “the principle or practice of unselfish concern for or devotion to the welfare of others” – this definition truly personifies Underground Kindness. Their mission statement is congruent with ours – helping students reach their full potential: academically, socially, and emotionally. 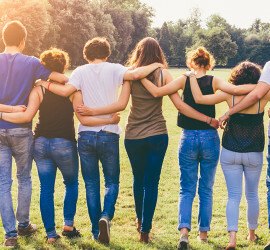 Underground Kindness provides an avenue for teens to learn how to navigate their fears, anxiety, and depression, as well as, creating a partnership with teens in developing trusting relationships with adults. I thoroughly support UK and their mission to help our youth learn self-acceptance coupled with strategies and practices which support their development as teens. Our students look forward to the Underground Kindness sessions and overall have had an extremely positive response to the sessions. Participation by our students in both yoga and classroom sessions is over 95%. Our student’s have expressed an appreciation for the friendly attitudes provided by the Compassionists and the wide variety of topics discussed. The programs provided by Underground Kindness are a nice match with our At Risk population. Underground Kindness offers a diverse list of social emotional, mindful, and wellness based lessons through an ala-carte style menu. This variety and diversity allows for our staff to select a social emotion lesson that will correlate to their academic curriculum. This is a great opportunity to balance academics with a “whole child” approach. The staff and directors at Underground Kindness have made huge efforts to inform themselves of the messages and language already being taught at our school and to cater their lessons to support this similar language. The varied courses center on anti-bullying, self-acceptance, gratitude and stress management. Students and teachers appreciate the opportunity to learn more about who they are and to channel their energy to better themselves, their school and the community of Sandpoint. It is my opinion that students come away from a class presentation inspired, uplifted and with a positive attitude. UK offers students tools for self acceptance, authentic expression, and the ability to manage their emotional, mental and physical wellbeing. Our goal is to support the efforts of teachers and parents to foster the growth of our Youngers into self-reflective, expressive, confident, participating members of society. As Students love and accept themselves they will naturally, without fear or force, ripple this into their school, community, and home lives. Students are often overwhelmed by academic, environmental, social and financial pressures, creating stress that they feel unequipped to handle or process in a healthy or effective manner. It is our intention to encourage and nurture the whole student.